0 Watch Zach’s NBA Lockout Song!!! CLICK HERE to watch highlights of Zach’s ESPN Special!! 0 Zach is on the road hosting new History Channel Show! ZACH has been cast as the lead host of a new History Channel special about the history of language in America – It is very exciting and will be an incredible 2-hour-special that will air in early 2012. Thus far, Zach has traveled to Malibu, Gold Rush Country, New Orleans, Nashville, NYC, Washington DC and many other spots uncovering the secret history of our English language! More updates from the road soon… !! Zach on about three 151 proof Hurricanes. 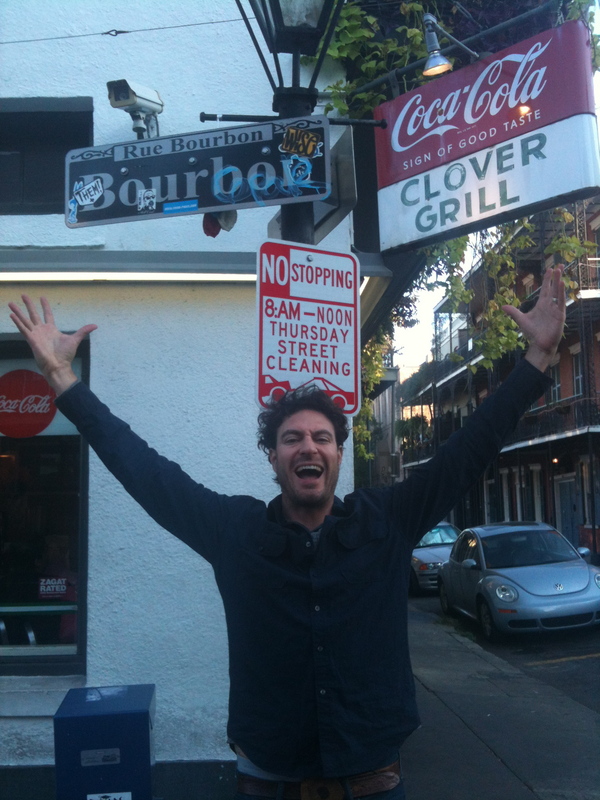 Bourbon Street, New Orleans… October 2011.